Our company is widely appreciated in manufacturing and supplying Soap Strips. Used for the purpose of sanitization while traveling, these strips are highly demanded in the market. The offered strips are easy to use and carried with ease, given their compact design. These strips are made available in several variants in terms of their fragrance. They are gentle on skin and leave a lasting fragrance in your hands. These skin-friendly soap strips are an excellent alternative to soaps. Further, these eliminate the hassle of carrying soaps in cases everywhere. Completely biodegradable, these are good alternatives for Alcohol-based Hand Sanitizers. 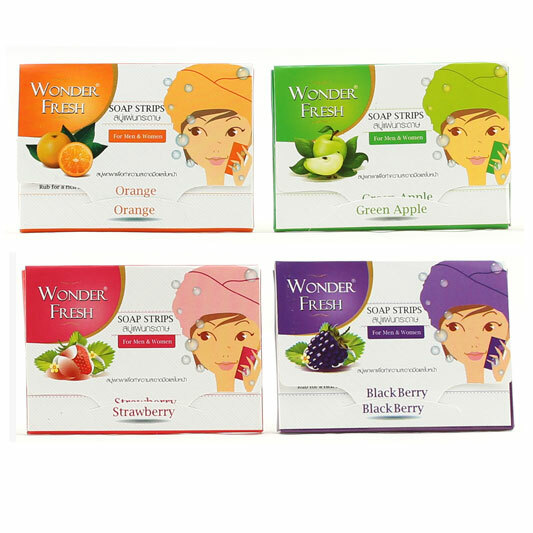 Backed by our adroit team of professionals, we are able to provide our clients with an assorted gamut of perfumed-soap-strips-wonder-fresh. 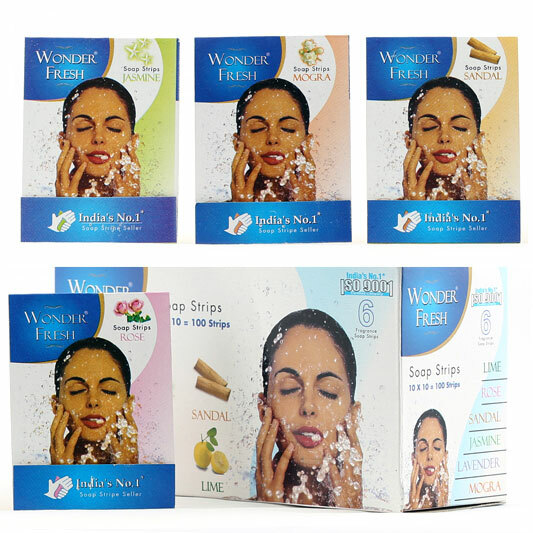 Our company has achieved laurels in providing Hygienic Paper Soap (Wonder Fresh). These strips are extremely handy during journeys. These are meant for one-time use and can be disposed of easily, unlike soaps which create a lot of mess. These are priced reasonably. Owing to the fine quality raw materials used in their manufacture, the offered soap strips are highly effective and have a pleasing fragrance. 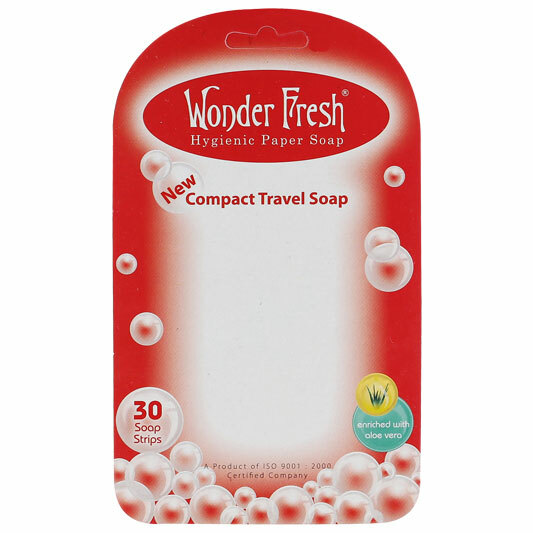 By using advanced technology, we are involved in providing Soap Strips - Wonder Fresh. 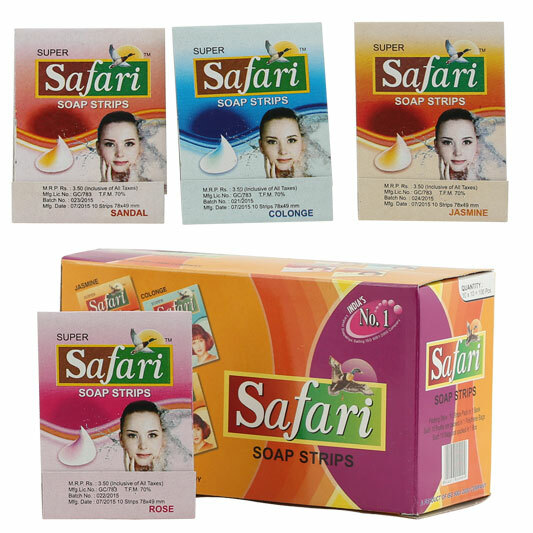 Owing to the rich industrial experience and expertise in this business, we are involved in providing a supreme quality array of Paper Soap Strips - Safari. 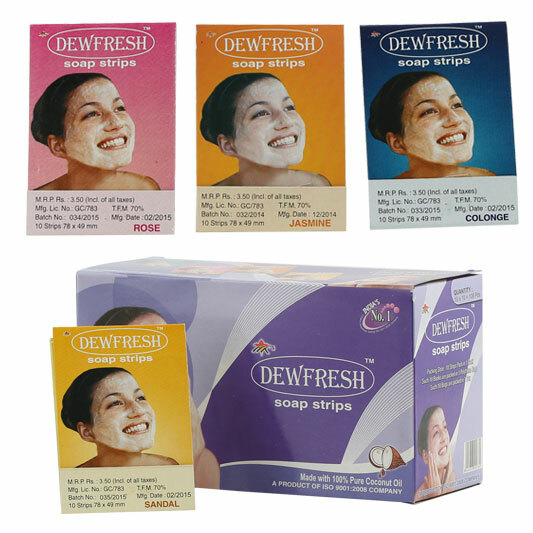 Backed by our skilled professionals, we are involved in providing Soap Strips - Dew Fresh. Our company is a master in providing Soap Strips - Feel Fresh.